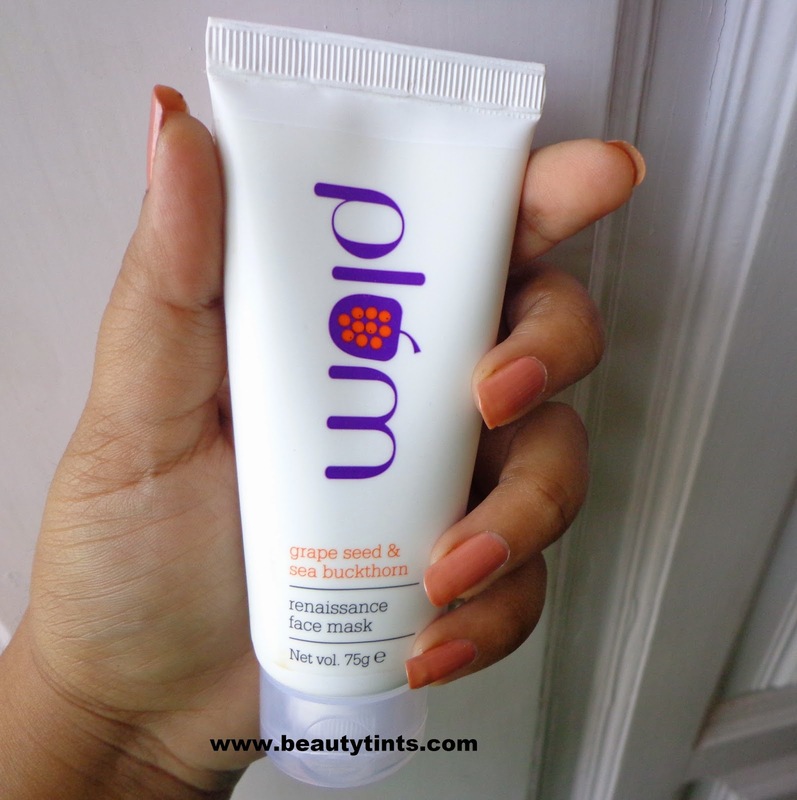 Sriz Beauty Blog: Plum Grape Seed & Sea Buck thorn Renaissance Face Mask Review! 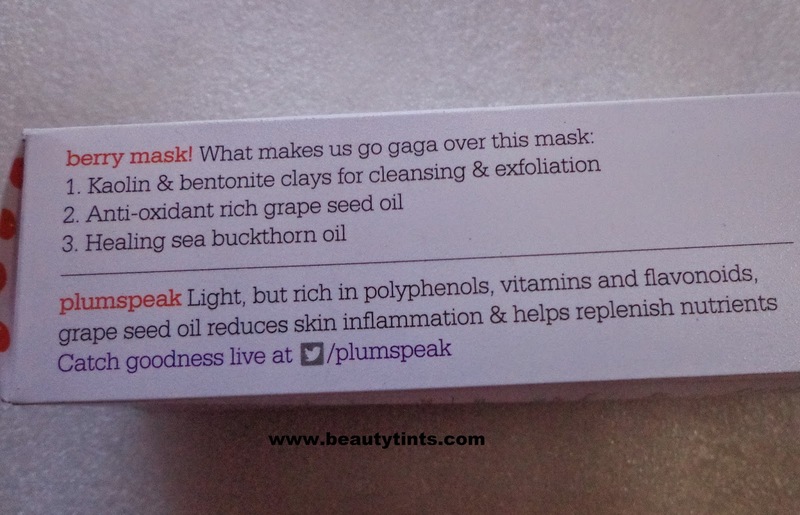 Plum Grape Seed & Sea Buck thorn Renaissance Face Mask Review! 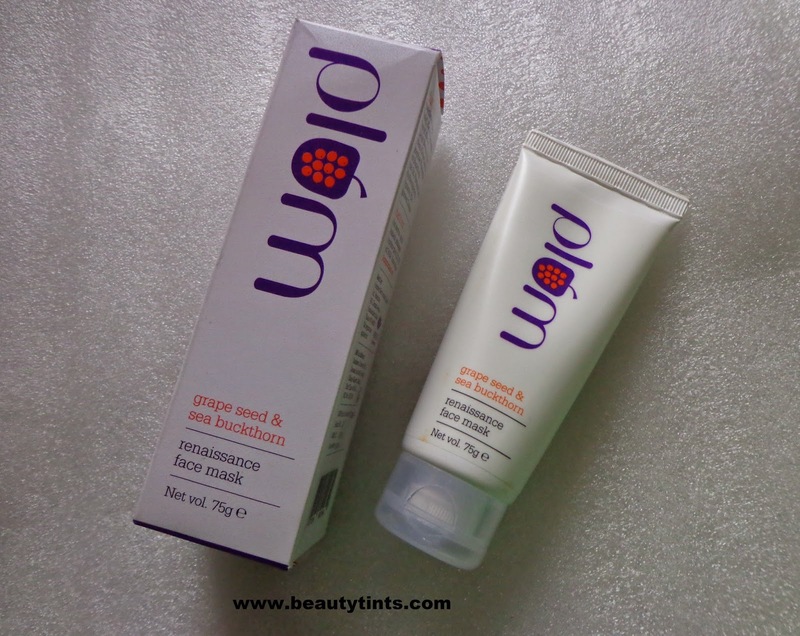 Today I am reviewing Plum Grape Seed & Sea Buck thorn Renaissance Face Mask,which is enriched with the goodness of Sea Buck thorn oil,Grape seed oil,Kaolin and Bentonite Clay which helps in cleansing,exfoliation as well as healing of the skin. 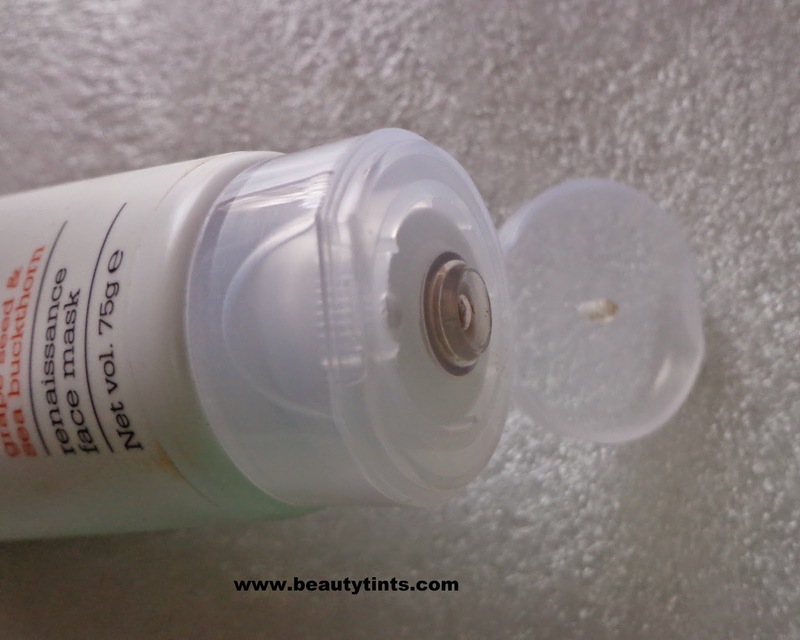 Packaging : It comes in a tube packaging with a flip cap,which is quite easy to use and carry. Color and Texture : This is a pale brown colored pack which has a medium consistency and is easy to spread. ♥ Works with all skin types! Availability : Available in few online stores .You can buy it from here and with a great discount here. Directions for Use : Wash face and neck with gentle face wash. Pat dry with soft towel. 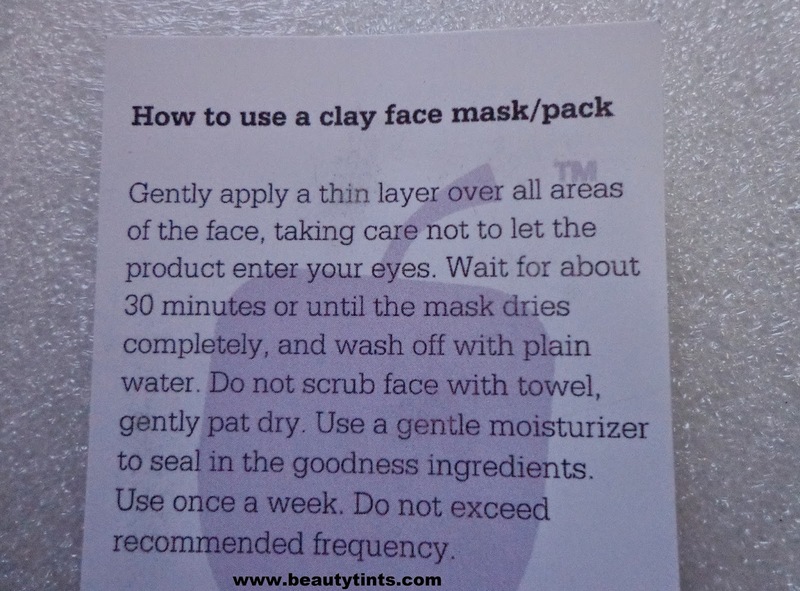 Apply a thin, uniform layer of mask on to face and neck. Wait for 30 mins, or until the mask dries. Rinse with water and apply a gentle moisturizer to lock in the nutrients. 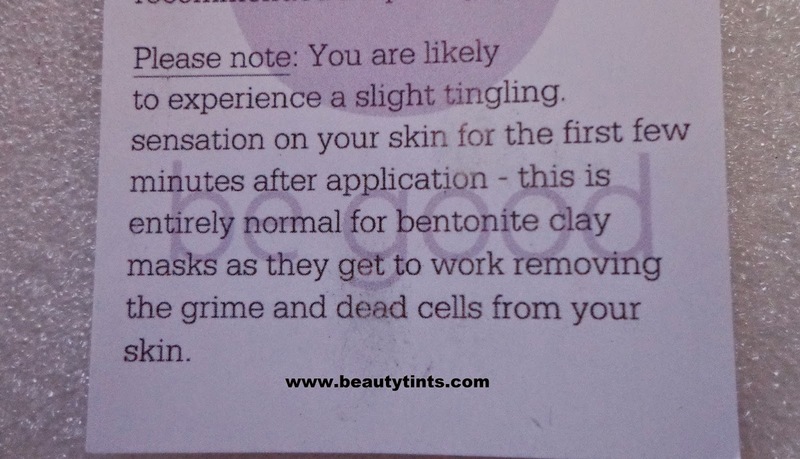 Please note: You are likely to experience a slight tingling sensation on your skin for the first few minutes after application - this is entirely normal for bentonite clay masks as they get to work removing the grime and dead cells from your skin. 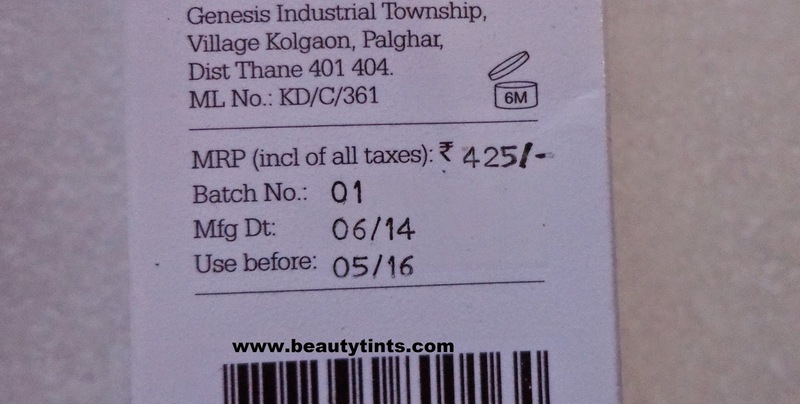 My Views On the Product : I have been using this from past 1 month,twice a week and I am loving it.This has a pale chocolaty color and has mild fruity fragrance.This pack has a soft, creamy consistency which spreads easily and dries off quickly.It gets rinsed off easily with out much effort.This pack best serves when we are in a jiffy.It instantly gives a deep cleansing effect to the face with a subtle glow and also gives a good exfoliation too.It suits all types of skin especially oily skin people will love this.The bentonite and Kaolin clays in this pack will help in deep cleansing & exfoliation, while grape seed oil and sea buck thorn helps in replenishing and regenerating the skin cells respectively.Initially after application,it stings a bit as mentioned,but no need to worry as it get reduced after wards.It is free from parabens and other harmful ingredients.it is against animal testing and a vegan product.It comes in a very sturdy tube with a flip cap,with a small nozzle which dispenses the right amount of product with wastage and is travel friendly.It is a bit pricey but as it made from all organic ingredients,it is safe to use and worthy for the price. 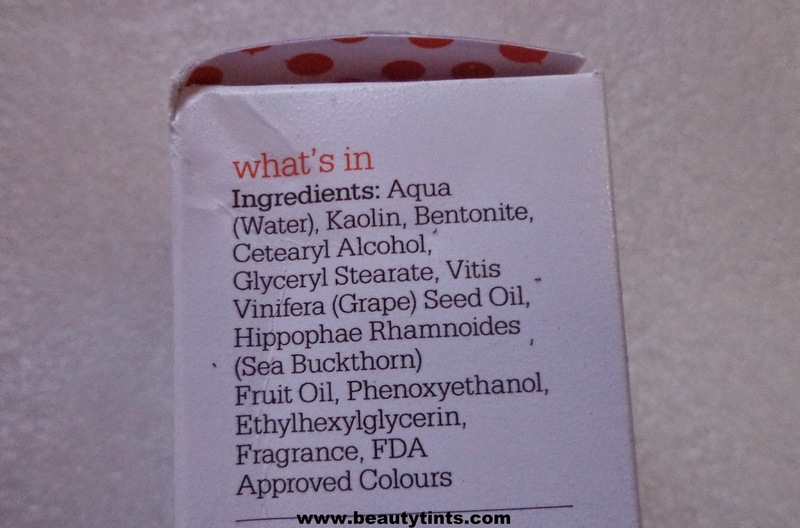 Contains the goodness of Bentonite clay,kaolin,sea buck thorn oil,grape seed oil. Final Conclusion about Plum Grape Seed & Sea Buck thorn Renaissance Face Mask: This is a 3 in 1 mask which deep cleanses,exfoliates and replenish the skin with the goodness of all natural ingredients.I highly recommend this to people with oily-combination skin.